A neat, convenient way to handle shine and excess oil anytime. 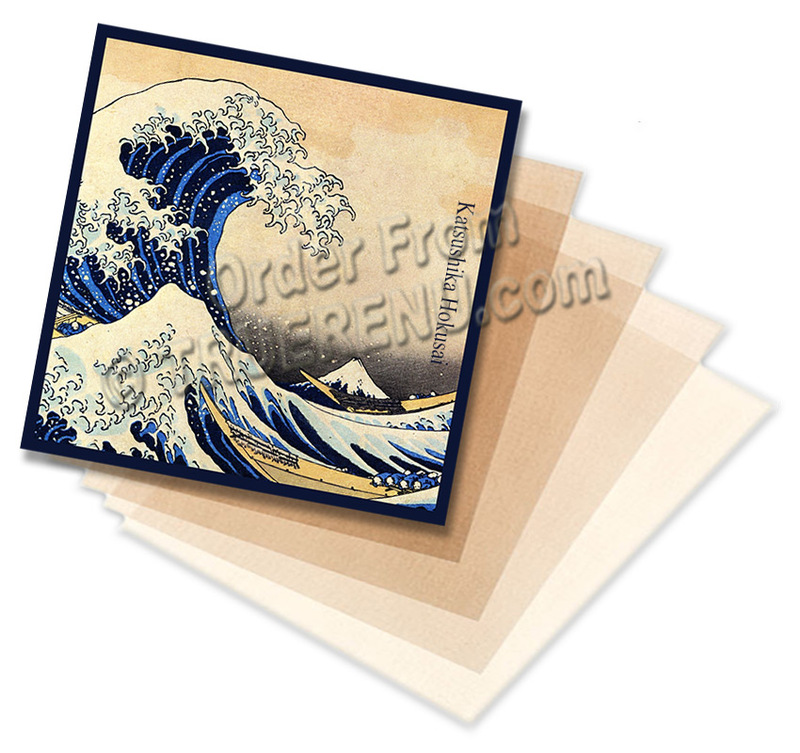 Beautifully packaged blotting papers from Japan featuring a reproduction of the woodblock print ''The Great Wave off Kanagawa'', by the Japanese ukiyo-e artist Katsushika Hokusai. HABA papers are hand woven and treated with Squalane. Wallet pack contains 40 sheets inside a paper carry case. Super soft Squalane treated sheets remove excess oil while leaving makeup intact. Katsushika Hokusai was a Japanese artist, ukiyo-e painter and printmaker of the Edo period. Born in Edo (now Tokyo), Hokusai is best known as author of the woodblock print series Thirty-six Views of Mount Fuji which includes the internationally recognized print, The Great Wave off Kanagawa, created during the 1820s. Katsushika Hokusai died May 10, 1849.